At Abbeyfield Scotland we provide safe, secure quality accommodation where older people can maintain their independence but benefit from a little help and enjoy companionship and company – when they want it. Our residents and their families place a high value on what an Abbeyfield house offers – prestigious locations, shared spaces for dining and entertaining, good food and an active social life. - with the Care Inspectorate for the provision of housing support services. 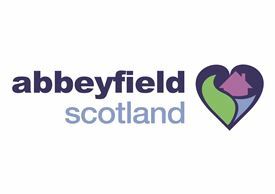 There are no jobs with Abbeyfield Scotland Ltd at the moment. Sign up to email alerts below to get notified when new jobs are added. Get the latest jobs from Abbeyfield Scotland Ltd sent direct to your inbox!